So…what IS in this “cookie”? Though spoiled for choice and blessed to spend our hard-earned dollars in the safest food system on the planet, the American consumer, arguably, has never been more victimized at the supermarket. Once innocuous enough, food labels now seemingly launch a full-on assault on common sense in every aisle. The most offensive? “Free from” labels. Here are some of the most commonly misused and misunderstood. If you’ve been diagnosed with celiac, you have every right to shop in peace and be able to discern which foods are off-limits. However, a disease that impacts one percent of the population has now changed the landscape for every consumer. The gluten free industry is estimated to be worth 15 billion USD globally, and yet surveys suggest the average American is not quite sure what it is. Quick primer: gluten is a combination of proteins found in wheat (as well as rye, barley, and triticale) that lends elasticity to dough. It also helps bread rise and impacts the chewiness of a loaf. While certain gluten-free sauces (namely soy), and of course crackers, cakes, and cereals should be clearly labeled as such, it’s a bit confusing when water, a pork tenderloin, or cheese bears a gluten-free label. Water is water and animal products do not contain gluten (even if the animal from which they are derived consumed a gluten-containing plant in its lifetime). Moreover, if you’re not suffering from celiac disease, there’s no evidence that following a gluten free diet will reap any health benefits. Enjoy bread and other gluten-containing foods as part of a balanced lifestyle, and choose those that are fortified with vitamins and minerals. You might remember a time when “No MSG” signs were practically required window dressing in Chinese take-out restaurants. Unfounded fear stemmed from an editorial piece in the New England Journal of Medicine (all the way back in 1968), and this naturally-occurring, umami-producing seasoning became the subject of ridicule for years to come. Standing for monosodium glutamate, MSG is comprised of sodium and glutamate, the most abundant amino acid (a building block of protein). Although it contains sodium, MSG can actually serve as a sodium-reducer without sacrificing palatability. Additionally, MSG is NOT an allergen, and it delivers distinct umami flavor that’s already present in foods such as tomato, parmesan cheese, mushrooms, and many others. The body doesn’t recognize a difference between MSG naturally occurring in the foods mentioned above, or if it’s used as a seasoning. So go ahead and give Ac’cent a try, and be mindful of overall sodium intake according to your needs. Facts aside that genetically modified organisms are safe, there are only ten GMO crops present in the US Food system, below. So, that peanut butter bearing the words non-GMO, or even worse, the Non-GMO project label? Purely marketing. Same goes for rice, products containing wheat, and any other food that does not contain sugar, soy, corn, canola, papaya, alfalfa, squash, potato, apple, or…cotton (hope you’re not eating that last one anyway). Many foods may contain ingredients from these ten crops in various amounts but the food item itself is not a GM food. “Non-GMO” is not an indication of greater nutritional value or risk of consumption, but you might notice a price increase on foods bearing the Non-GMO Project verification label. The manufacture pays a fee for this, and consumers take on part of that premium pricing. Avoiding this label can indeed help adhere to a tighter supermarket budget! Personally, forgoing the eponymous butterfly is the only restriction in my diet. All foods contain hormones. 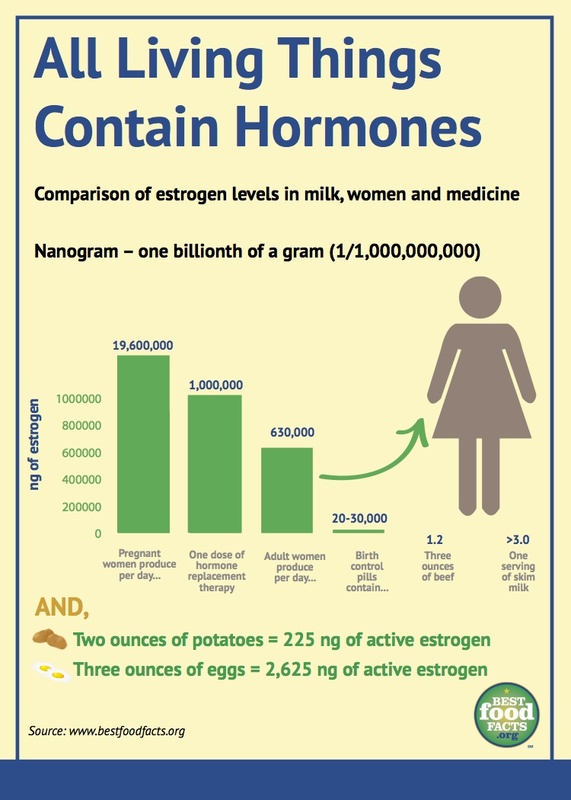 The infographic below offers some perspective on the estrogenic activity of some popular foods. Chicken in particular is often labeled “hormone free.” In reality, the USDA banned hormone and steroid usage in poultry more than 60 years ago, and there’s no need for either to be added to poultry. For more on why it simply doesn’t make sense for the industry to even consider steroid usage, the NCC provides four good reasons. Although the “hormone free” label makes about as much sense as “chocolate free” on a chicken, you’ll have no problem finding poultry bearing this claim. Purchase chicken based on budget and preference (breast or thigh, it’s all highly nutritious), and know that whatever you choose, it’s a safe winner (winner chicken dinner). You could make purchases based on “what makes you feel good”, but does falling prey to deceptive marketing claims really give you a warm, fuzzy feeling? I personally feel a deep sense of satisfaction by supporting brands that refuse to cater to misplaced concerns. By keeping their packaging free and clear of “free of” claims, these brands have chosen transparency over marketing. A great example is Fairlife. Betty Crocker has also stood her ground. Other brands: take note. 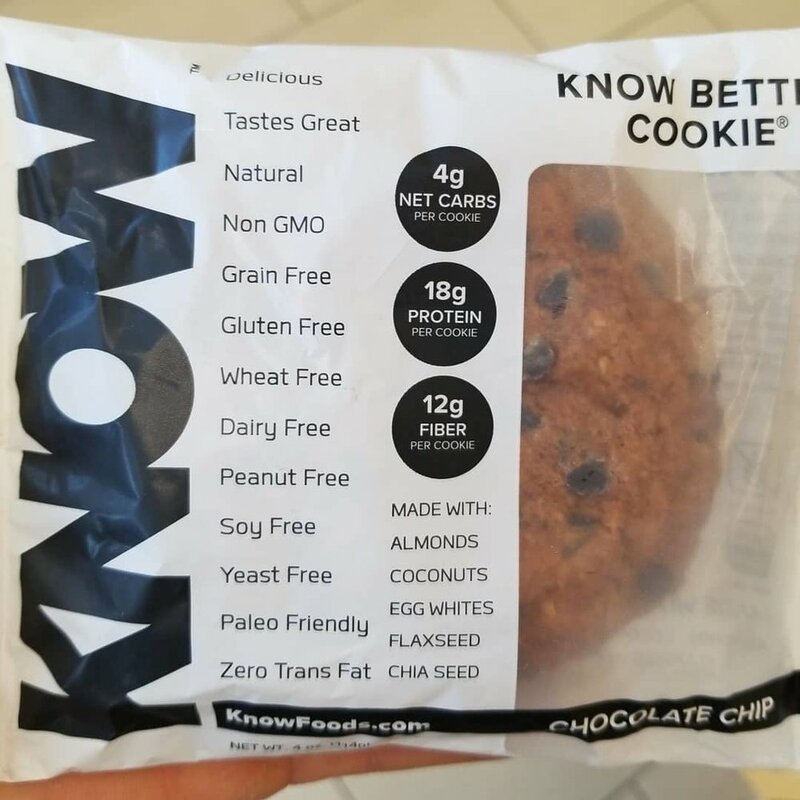 Instead of investing in the Non-GMO project label, spend money on an ad campaign highlighting what’s in your product, and why there’s no need to indicate it’s free from other maligned ingredients. Work with dietitians and other health professionals to help highlight nutritional benefits. I’m not the only consumer catching on, so take heed.